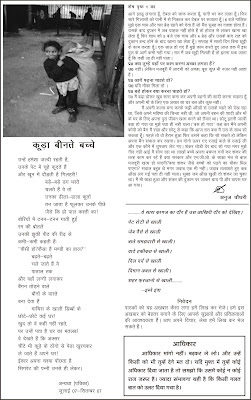 We are happy to inform you that we have publish 3rd issue of our newspaper “Bal Mazdoor Ki Awaz”. We do work for this newspaper in evening after day work on road or other places which is the time of our play or relaxation. 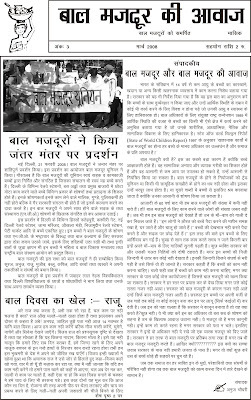 We want your support for publish this newspaper continuously. 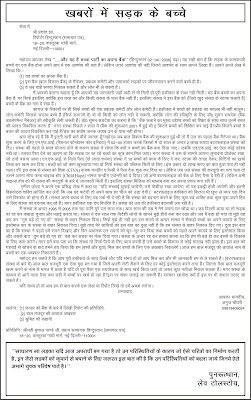 So we are requested you to make an Annual Subscription for this newspaper and request to other for the same. Your small contribution is necessary to change the thinking of society. 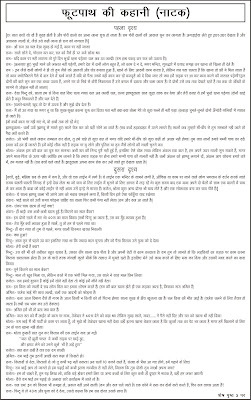 For membership for this newspaper “Bal Mazdoor Ki Awaz”, please sent your Cheque/DD/Money Order in favour of Anuj Choudhary and sent it at 1361, Shora Kothi, Subzi Mandi, (Near Ghantagarh), Delhi-110 007. New Delhi: Members of the Bal Mazdoor Union, an organization formed and run by child labourers themselves, staged a demonstration at Jantar Mantar here on Thursday demanding that the Ministry of Women and Child Development come up with practical programmers for alleviating their problems. They also appealed to the Government to curb corruption among those non-government organizations which have allegedly amassed money in the name of working for the problems of child labourers. 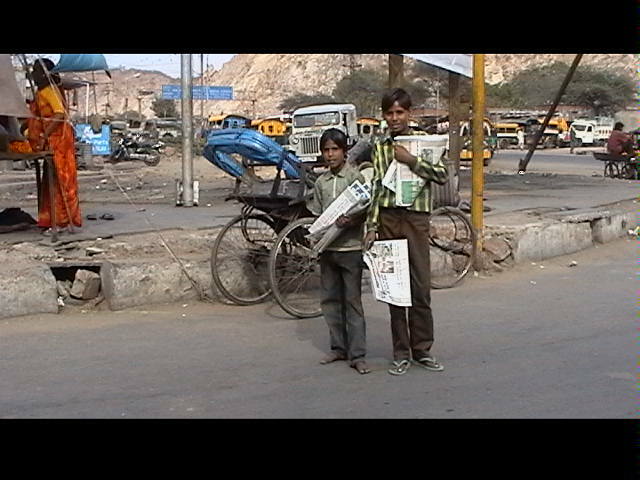 During the demonstration which was supported by research scholars and students of Jawaharlal Nehru University and Delhi University, the child laboures pointed out that they were highly vulnerable to exploitation of all kinds on the streets of the Capital. 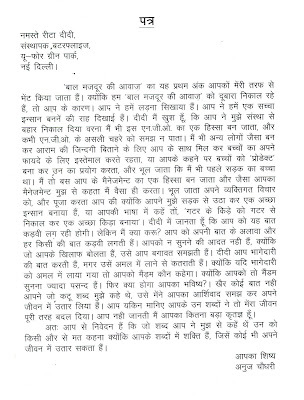 In a memorandum given to the Minister of Women and Child Development, the child labourers pointed out that their employers, anti-social elements, policemen and even passers-by subject them to economic and sexual exploitation. The memorandum also specifically named a particular NGO which gad allegedly amassed huge amount of wealth but not done anything for child labourers. 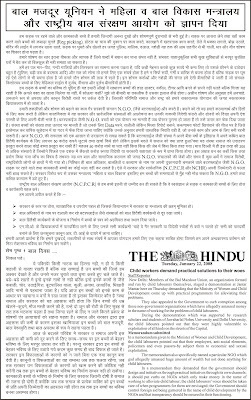 In a memorandum they demanded that the government should design and initiatives through practical initiatives through its own channels; it should put curbs on NGOs which only make money in the name of working to alleviate child labour; the child labourers’ voice should be taken care of when programmers for them are envisaged; the Government should control foreign aid being garnered in the name of child development by the NGOs and that transparency should be ensured in their functioning.